The balance between estrogen and progesterone ensures normal female reproductive ability. . Disorders, such as irregular menstruation, infertility, endometriosis and menopause syndrome, will occur when there is an imbalance between these two hormones. 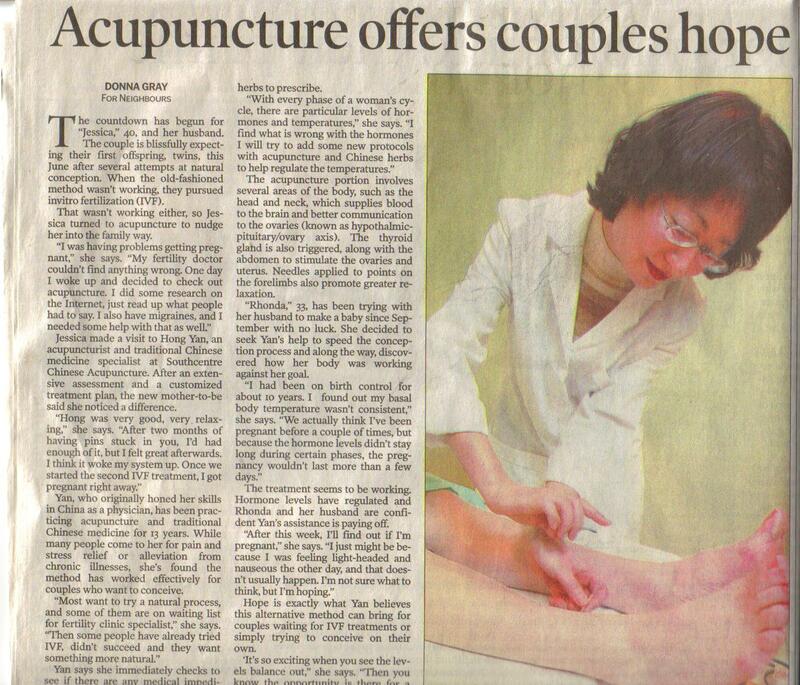 Female Hormone Balancing Acupuncture (FHBA) aims at harmonizing estrogen and progesterone. This therapy is based on an ancient TCM theory, Yin-Yang. If something is wrong with the body, it can cause an imbalance of Yin-Yang. So Yin and Yang can not grow and transform properly. In this case, an imbalance of estrogen and progesterone may result. Gynecology problems thus occur. Applying different acupuncture strategies in different phases of the cycle can restore hormonal balance. For instance, luteal phase defect is a common reason for infertility. 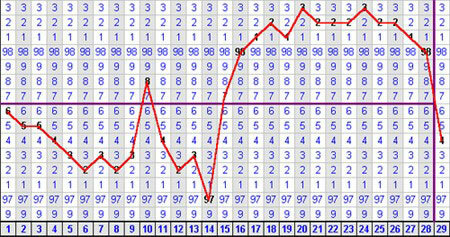 From the BBT, you will see the temperature after ovulation can’t rise enough or can’t maintain for at least 11 days. According to TCM, this is a Yang deficiency, so points and modalities that can strengthen Yang will be applied to promote the growth of the corpus luteum. Thus, FHBA can be applied to treat conditions like: non-ovulation, endometriosis, polycystic ovaries and luteal defect. FHBA is also a good support to in-vitro fertilization (IVF). In Germany, scientists have found that acupuncture can increase success rates by almost 50% in women having IVF, and the pregnancy rate in the group receiving acupuncture was 42.5%, compared to the group which didn’t receive the therapy, where the rate was 26.3%. In the States, Researchers from Weill Medical College of Cornell University, NY shows that taking acupuncture during IVF can reduce stress hormones that interfere with ovulation; normalize hormones that regulate ovulation so an egg is released, increase blood flow to the uterus and thus improve the chances of embryo implantation. Besides of fertility, FHBA can help the following conditions as well: PMS, menopause syndrome, low libido, habitual miscarriage, irregular menstruation and breast augmentation. Please check out Dr. Yan in Calgary Herald.